A big part of traveling is finding some of the best food in the cities we visit. While staying at the Palms in Miami Beach, that wasn’t hard to do. The onsite restaurant which sourced food from its own organic garden was incredible. 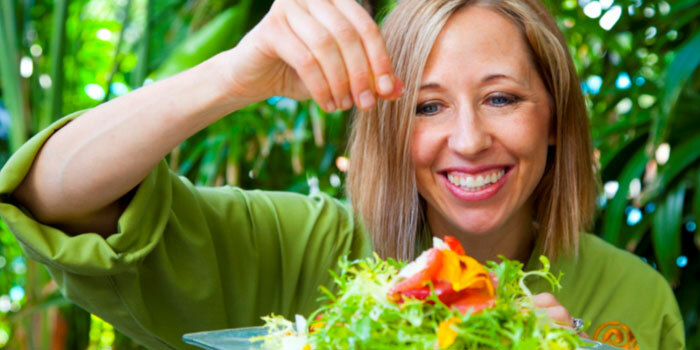 Let by Executive Chef Julie Frans, Essensia Restaurant + Lounge embraces a farm-to-table philosophy and offers a seasonal selection of global, wholesome cuisine. It also happens to have some of the best quinoa salad recipes. Before departing, I begged and pleaded with the hotel for a number of Chef Julie Frans’ recipes and in the end they delivered. 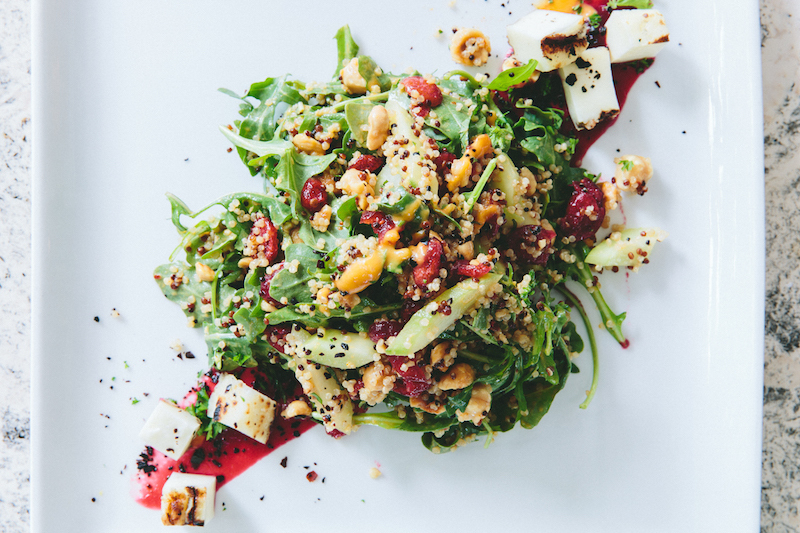 Without further ado, here is Essensia Restaurant’s Israeli Quinoa Salad Recipe. Blend everything together, then season with salt to taste. Smear a line across the plates with the beet puree. Toss the salad in a separate bowl: arugula, quinoa, cucumbers, mint, cranberries, and hazelnuts, with the Harissa vinaigrette. Divide the salads into four portions, piling them in the middle of each plate. Place the pieces of Halloumi cheese on the beet puree. Sprinkle all of it with parsley and Turkish chile. What’s the best food you have found on your travels?